Hello, hello, Citrus Twist fans! 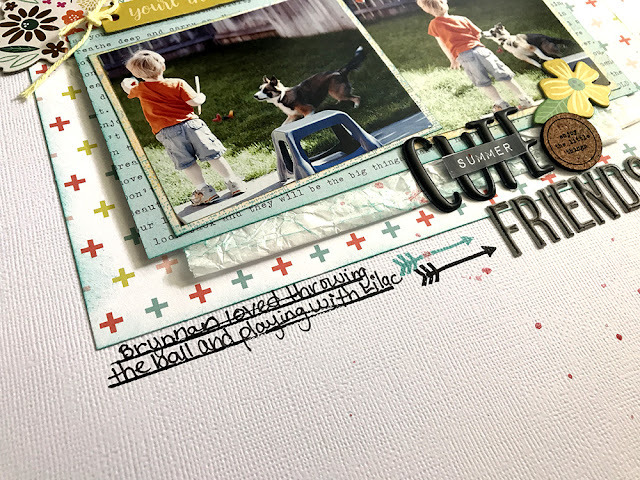 My name is Megan, aka Crafty Meggy or Meggy Blethen, and I am so excited to be the guest designer this month! I can't wait to use this fun summery kit and show you all the projects I make with it. First up, I have a little Q&A sesh for you and then we will jump to my very first layout. I started scrapbooking when I was about 14 years old. My youth group did a little scrapbook collage and it totally opened my eyes and ever since then I have been hooked. Since I was a teenager I started out scrapbooking about myself and my friends, but once I got married and had kids they were a lot more fun subjects. I want them to remember their childhood, something that I don't have myself, so I have continued scrapbooking. I like to say my style is somewhat simple and I like to use a lot of clean lines. I have delved into mixed media a little bit, but I try to stay pretty clean. I am influenced by so many people it is hard to pick just a few of them, but I will try. The big wigs that I really love are Paige Evans, Amanda Jayne Baldwin and Missy Widden. I also really love Christy Harriman, Hannah Lemieux and Kira and Mary from Create Craft Repeat. There are so many I could literally go on for HOURS!! I really love that with most kits you can get the latest and greatest collections at a really good price. 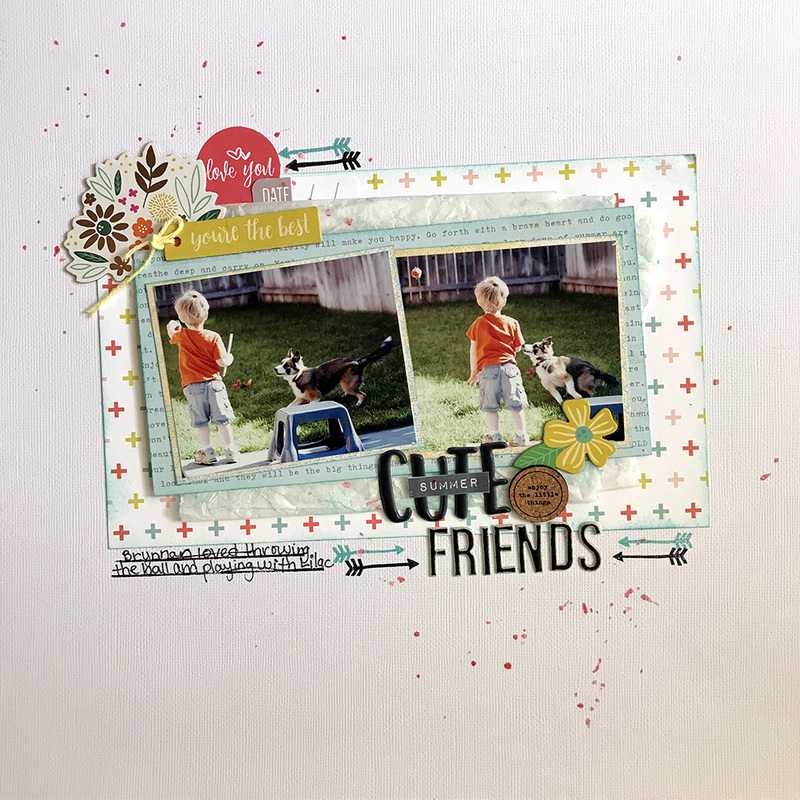 The exclusive products and printables are also a really fun addition to kits. 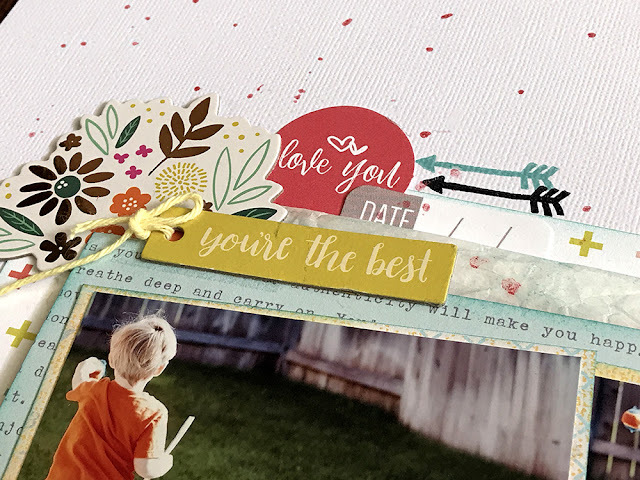 What are your 5 favorite scrapbooking items you can't do without? Thickers, sequins, patterned paper, spray mists and my ATG gun. I don't know what I'd do without that tape gun! Lol! How would you describe the Citrus Twist June "Boardwalk" kit and why will people love it? This kit is summery and full of yummy goodies to make some awesome projects! I don't know about you but I am ready to jump head first into summer so let's get this party started!! For this layout I wanted to keep it simple and when I think of simple I go for a white background. I love that the kit came with white cardstock. For this top left cluster I used the chipboard flowers and little yellow tag. I aso brought in a couple little tags from the Elle's Studio embellishments to add some small layers to the cluster. The black and blue stamped arrows finish off this cluster nicely. I love how well the fonts for the kit alpha and the Elle's studio puffy stickers went well together. I recolored the kit alpha to help the two flow better as a title. Thanks so much for stopping by today!! I will be posting on social media throughout the month and be back on the blog on the 13th with a tutorial. If you have a request for anything you'd like to see leave a comment and I will try to make it happen! Have a great scrappy week!